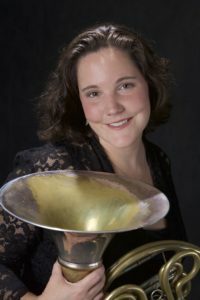 From winning the Paxman Young Horn Player of the Year Award in London at age 19 to receiving the prestigious Avery Fisher Career Grant at age 29, Jennifer Montone, principal horn of the Philadelphia Orchestra, has a resume filled with accolades. Was there a critical experience or turning point that launched her remarkable career? YOBC members won’t be surprised to hear her answer: “What really got me super into music was a youth orchestra,” says Montone. Today Montone is a world-acclaimed soloist, chamber musician and teacher. 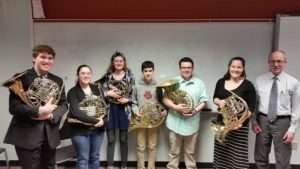 While performing takes up the bulk of her time, she finds coaching students at the Curtis Institute of Music “incredibly illuminating.” “They’re so talented and great, and they’re trying to figure out how to be an adult in this field—what they want and why they’re pursing it,” she says. Join YOBC’s mailing list for information about upcoming concerts and community events. Join our mailing list! Expand your studio! Register HERE for updates and referrals.